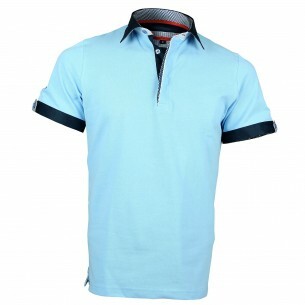 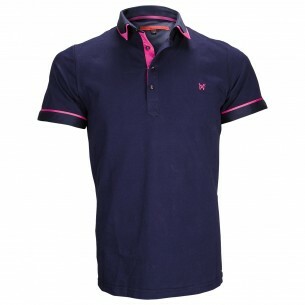 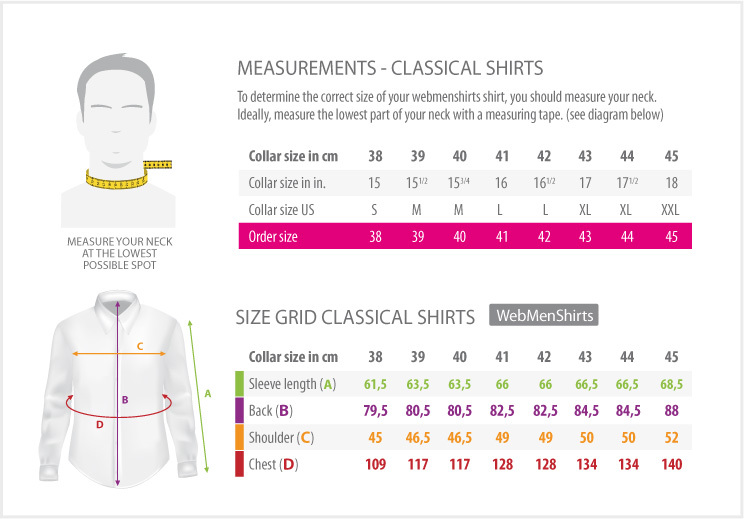 High quality regular fitt shirt in blue popelin cotton fabric. 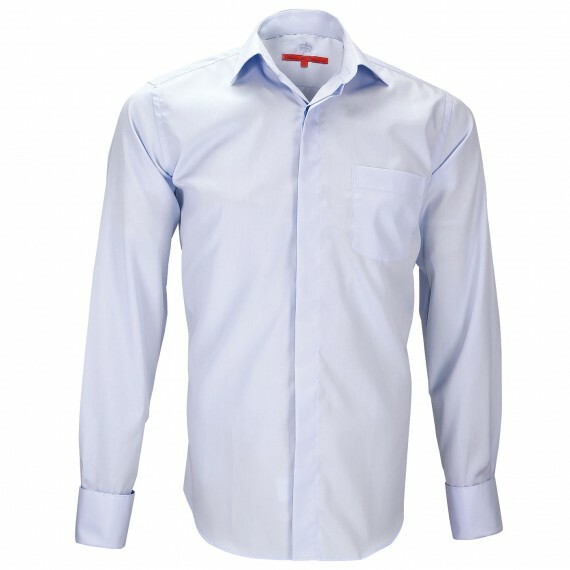 This dress shirt has a 1/2 Italian collar with flush stitch and french cuffs and a breast pocket and a hidden throat. 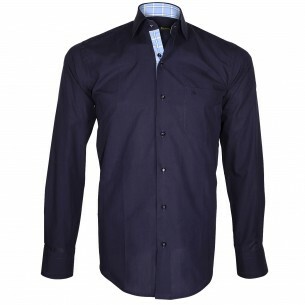 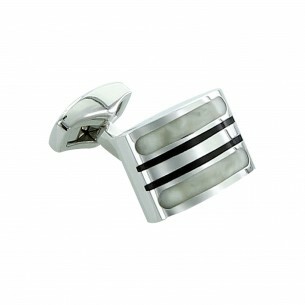 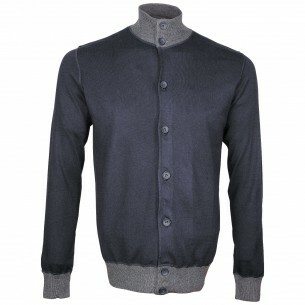 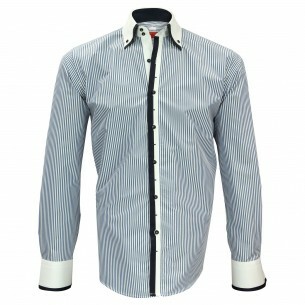 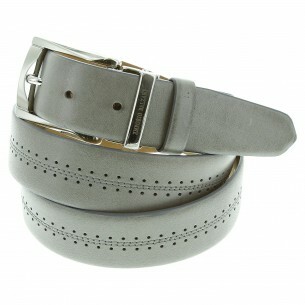 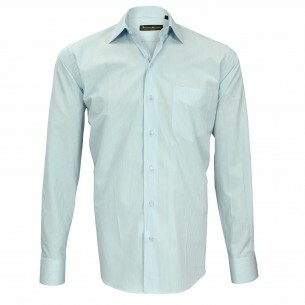 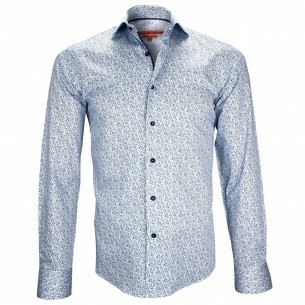 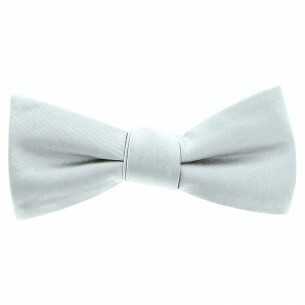 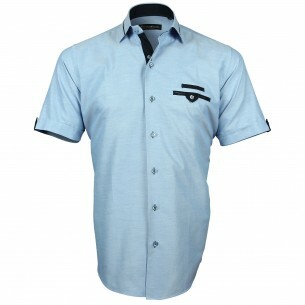 Elegant and refined this classic blue grey shirt will be worn with cufflinks.